This year, our annual Banking Survey included a couple of new questions, one of which had to do with finding out, once and for all, which finance employer is the most prestigious place to work in the Western Hemisphere. That is, for the first time ever, we asked professionals to rank, in terms of prestige, the top investment banks against the top private equity firms, hedge fund firms, and asset managers. We call this our Cross-Industry Prestige Ranking. And for the inaugural year of the ranking, an investment bank came out on top: none other than Goldman Sachs. Goldman, which also topped our latest Banking Prestige Rankings, taking the top spot in our first-ever Cross-Industry Prestige Rankings underscores just how resilient the firm has been in the past few years. Since 2008, Goldman’s been on the receiving end of more negative press than perhaps any other financial services firm—and yet it’s still considered to be the most prestigious finance employer by its peers, beating out prominent names outside of investment banking like KKR, Paulson, Carlyle, Blackstone, and BlackRock. This seems to indicate that, contrary to what many in the press and on Main Street might believe, Goldman is still a highly respected Wall Street firm, and has the name young professionals want most on their resume. At No. 2, Blackstone has also shown great resilience. After a couple of tough years, Steve Schwarzman and gang are back on track, making and raising money by the billions. Blackstone ranked No. 3 in our Banking Prestige, so its rank as No. 2 here shows that the firm is perhaps a more prestigious private equity firm than it is an investment bank. And at No. 3, KKR, the three lettered firm that has historically been synonymous with LBO, has shown that, along with putting together monstrous buyouts, it can successfully operate in other areas. 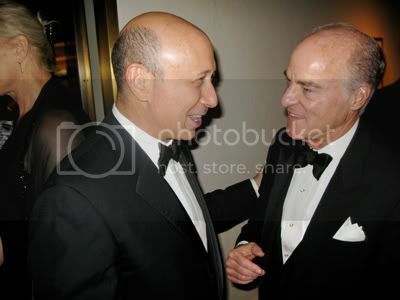 Once called a "one-trick pony" (by Blackstone's Schwarzman), KKR recently broke ground on eight new business lines, went public, and has reinvented itself as a one-stop shop for pension funds, college endowments, and fllthy rich oil sheiks—all of whom are looking for more interesting vehicles to ride on to riches than the old LBO. In any case, check out the complete Cross-Industry Prestige Rankings to find out which firms ranked No. 11 to No. 25. And check back tomorrow for our Banking Quality of Life Rankings and our Banking Diversity Rankings to fund out which investment banks pay the best, have the best culture, and have the most diverse workforces.